Growing up I had the opportunity to visit my Grandparents often. Often this would be a Sunday visit with my parents and siblings. However, I often would ride my bike to my Dad's parents house in the summer. Or in the fall after junior high school football practice. Regardless of when I visited my Grandma she would offer me a sandwich. This was always a special sandwich because it would include homemade Chili Sauce. This is one thing that will always remind me of my Grandmother. Grandma's Chili Sauce is a slightly sweet tangy tomato based relish. We use the recipe from the 1954 Better Homes and Garden recipe. Now Ashley and I still visit my Grandma's but I no longer rely on her for Chili Sauce. 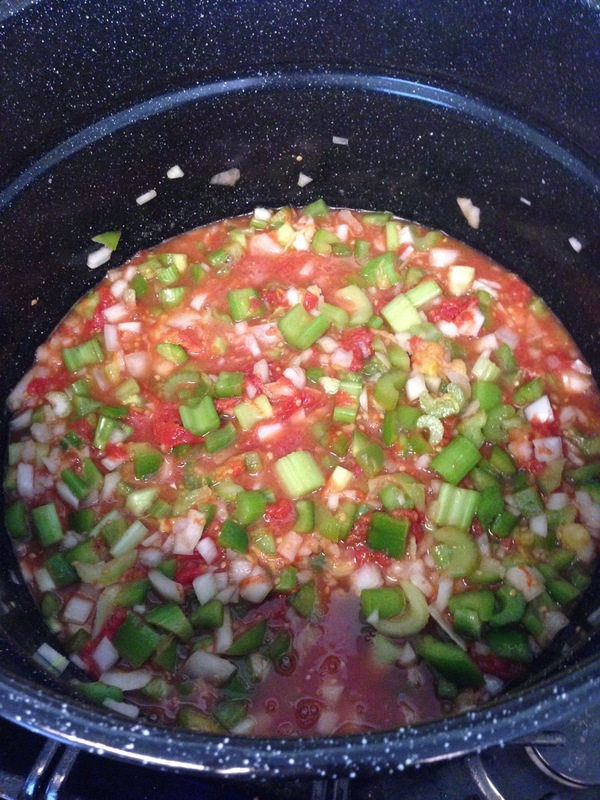 This weekend we had enough fresh tomatoes from our garden that I was able to make the Chili Sauce. It is one of the ways I know fall is really here. It all starts with fresh tomatoes. We usually grow two or three varieties each year. 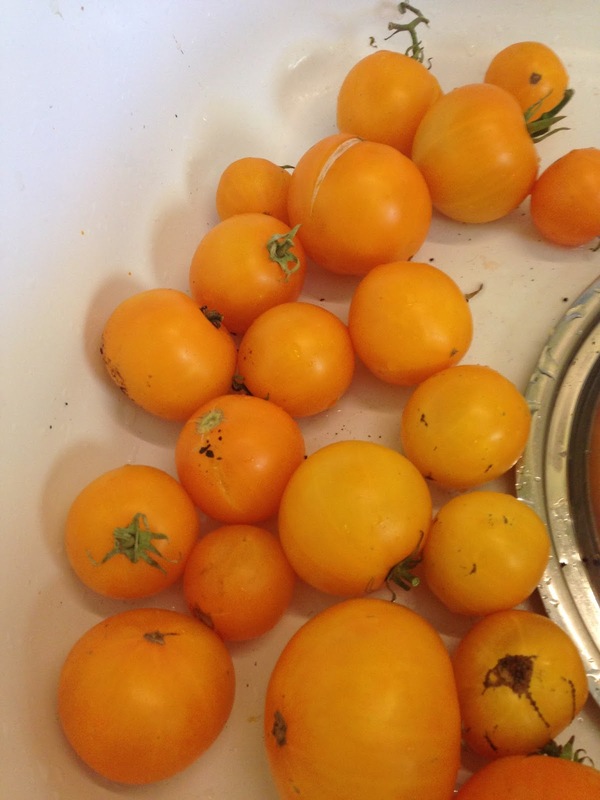 Here are some of the yellow ones from our garden. I didn't get picture of the red ones. Here is the sauce simmering down. It makes the house smell wonderful. Do you have a favorite fall tradition? What is your favorite season?